BEDOUIN, GRACIE and PURITAN are shown in the trials for the 1885 America’s Cup. Though BEDOUIN would lead several times, the Burgess-designed PURITAN would prove the faster boat and go on to defend the Cup that year against GENESTA. 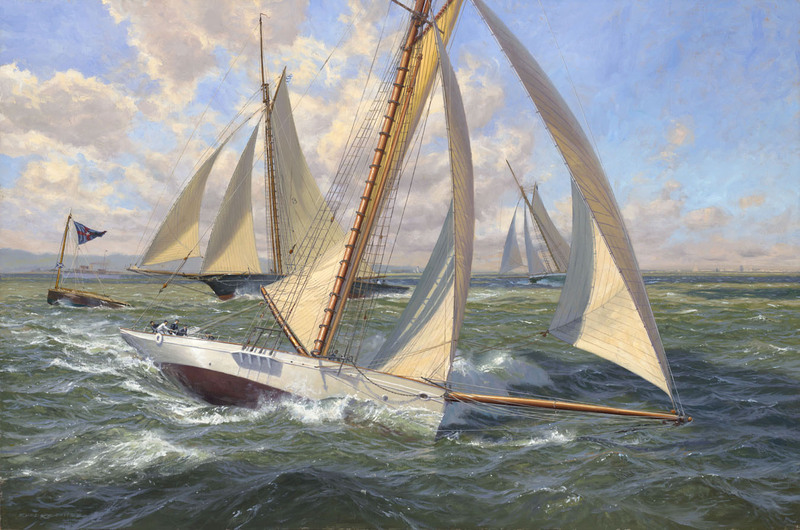 This 30″ x 20″ original oil is available for purchase from the Roger King Gallery, Newport, RI. Please call (401) 847-4359 for more information.